Liverpool legend Jamie Carragher has spoken about the future of Newcastle United manager Rafa Benítez in a scathing newspaper column. 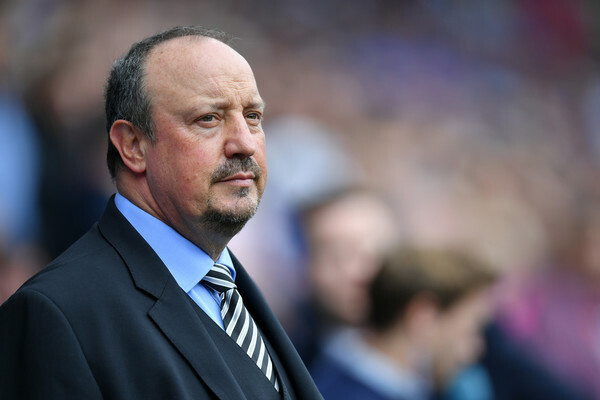 Rafael Benítez, manager of Newcastle United looks on prior to the Premier League match between Cardiff City and Newcastle United at Cardiff City Stadium on August 18, 2018 in Cardiff, United Kingdom. Benítez has been operating on a shoestring budget at St James' Park this season after being involved in a stand-off with the club's owner Mike Ashley in the summer over transfer funds and other spending. With the Spaniard's contract running out in May next year, Carragher believes that his former manager must end his tenure in charge of Newcastle come the end of the season. If Ashley stays, Rafa will have to go. Those were my final words when I dedicated a column to Newcastle last season. Looking at the situation at the club at the start of this one, from a footballing perspective, it is difficult to explain why my former manager is still there. For a coach of Rafael Benítez's pedigree to be treading water with no prospect of doing anything beyond retaining Premier League status is incomprehensible. There is nothing more he can do at St James' Park. Not without regime change, and that is not happening. The current arrangement is no more than a marriage of convenience. A short-term alliance with no future beyond the season. Mike Ashley cannot afford to sack Benítez. Why would he anyway since he is the best man to keep them up and it would only rile disillusioned fans even further? Rafa will see out his contract because it would cost £6 million to buy out its final year. Newcastle are a big, prestigious club. Benítez is on a lucrative salary and he retains the overwhelming support of the St James' Park crowd. But the reality is that they are an institution limping along until an inevitable parting next summer. Yet again, the Newcastle fans will suffer when this has played itself out. While they cherish Benítez's coaching talent, those running the club are wasting it. Benítez, who has been at Valencia, Liverpool, Real Madrid and Chelsea during his stint as a manager, steered Newcastle to an impressive 10th place finish last season with a very average squad. Knowing Rafa as I do, he will be desperately missing the Champions League, watching those games in midweek and so frustrated he is not trying to outsmart those younger coaches. He will feel he has one more crack at the European elite in him, but he would have to go back overseas to do it. The shame for Newcastle is they could have been that "one last big job" if they had just some of the cash - and ambition - of Premier League rivals. Newcastle fans justifiably argue they can never achieve such lofty ambitions until Ashley gets out of St James' Park. For Benítez to satisfy his and enhance a decorated list of honours, he will go first.